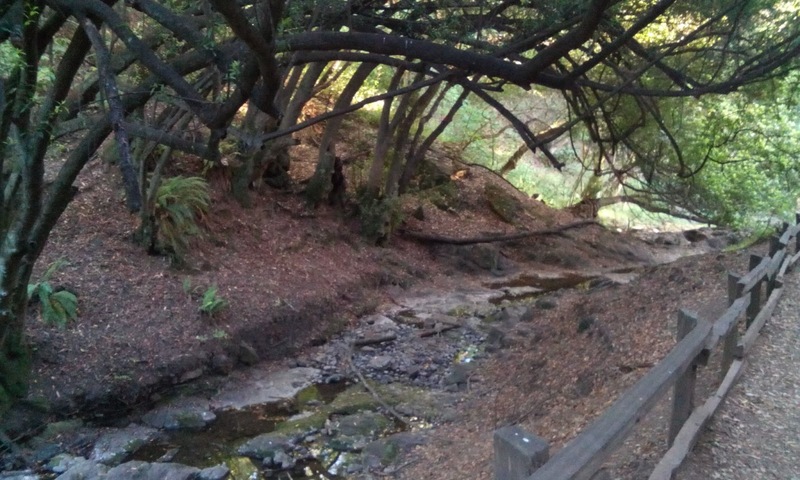 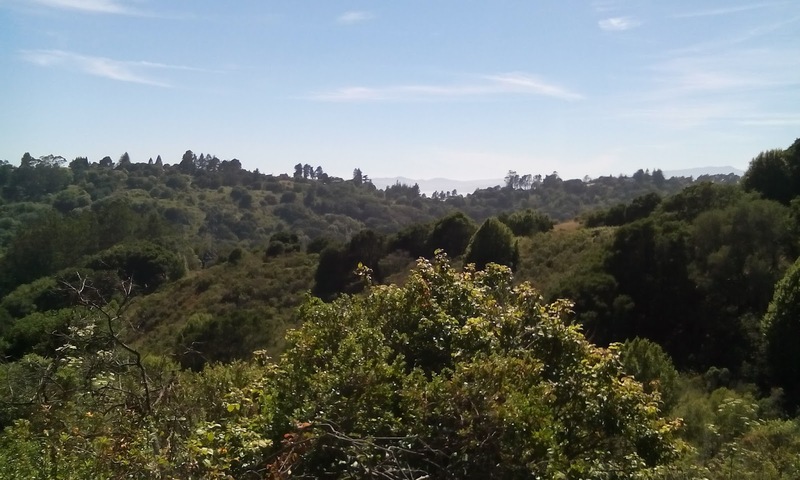 Yesterday afternoon, June 19th 2015, I hiked beautiful Tilden Regional Park in the Berkeley Hills, San Francisco Bay Area in California, from end to end and back again to the starting point. 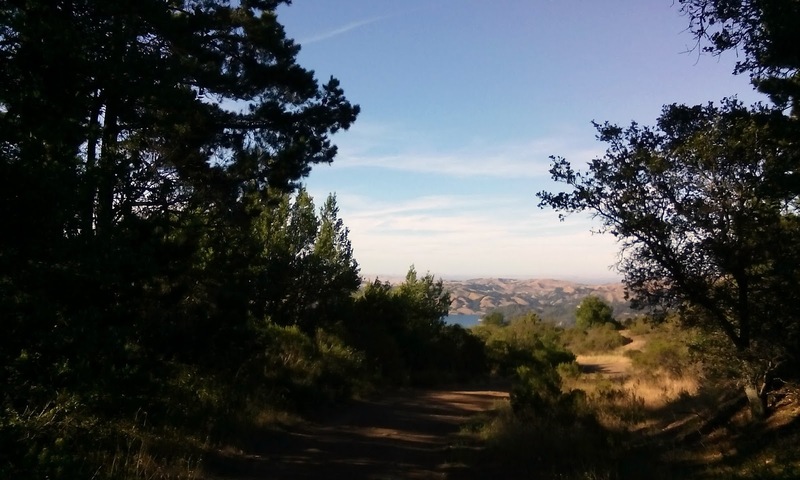 I parked near Little Farm and the Visitor’s Center, and headed via Jewel Lake and Sylvan Trials to Wildcat Canyon Peak Trial, which takes you to around the northwest end of the park. 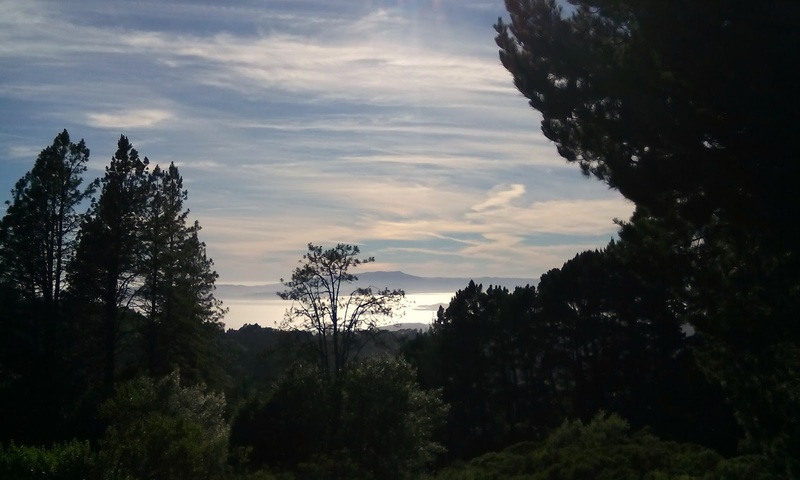 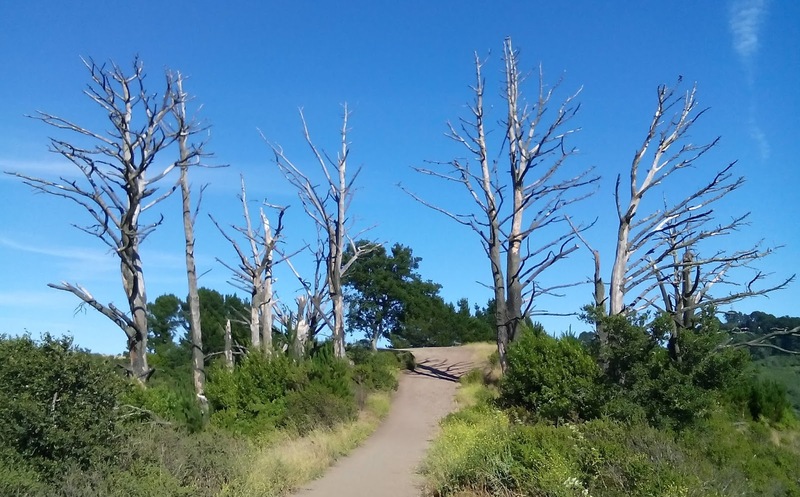 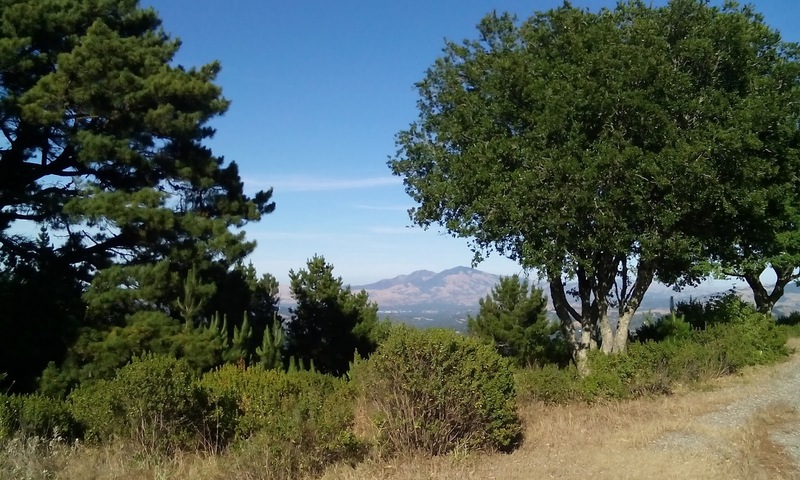 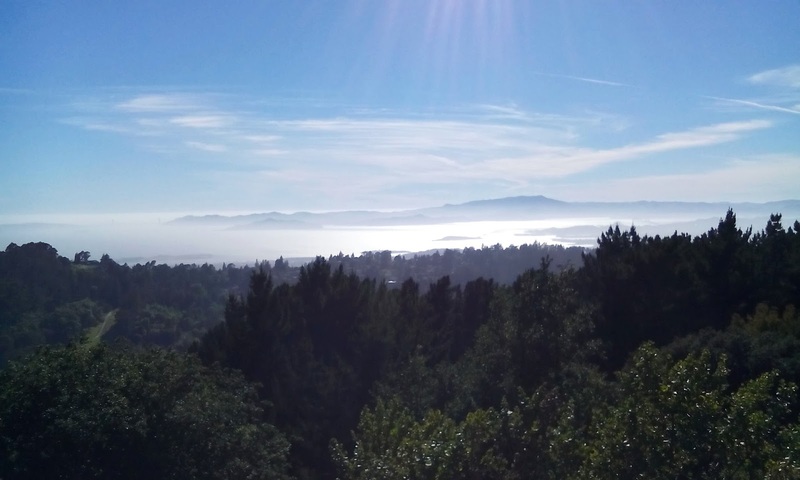 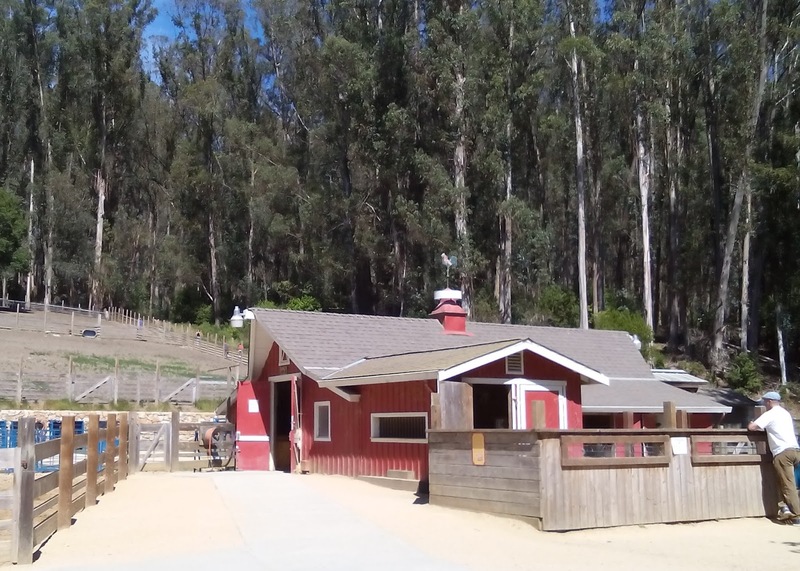 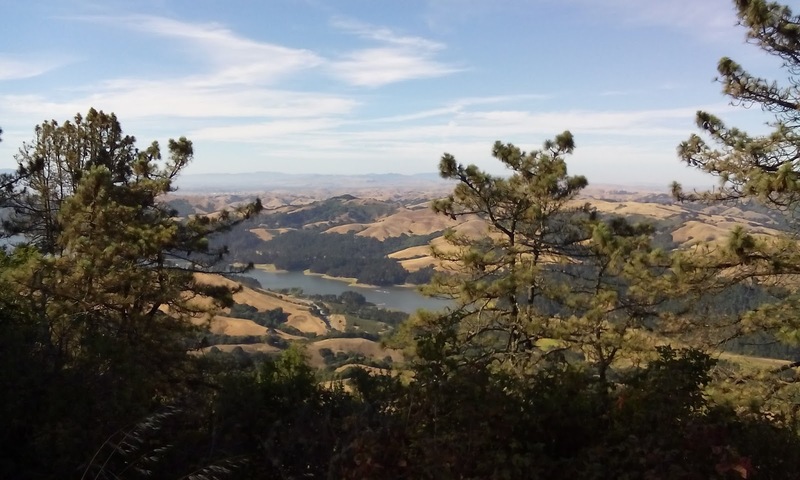 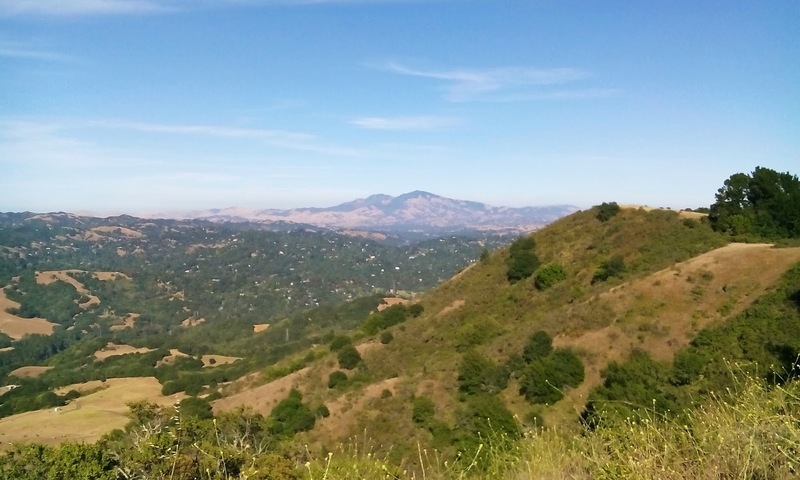 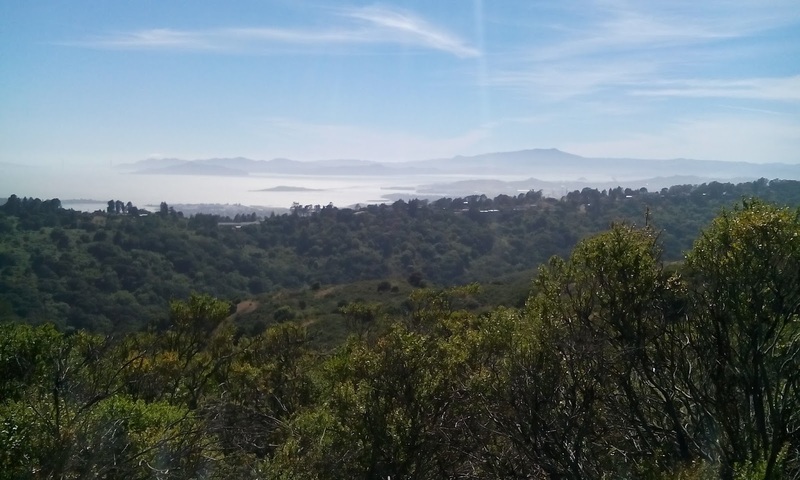 I took the Peak Trail to Nimitz Way, stopped at Inspiration Point, headed up the Seaview Trail to connect with the East Bay Skyline National Trail, and took that all the way to Vollmer Peak at the southeast end of the park. 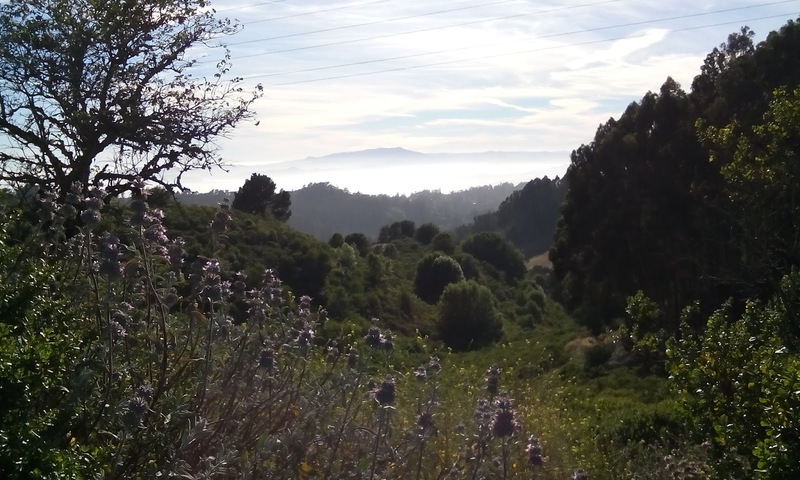 Coming back, I took the Vollmer Peak Trail to Arroyo, to Upper Big Springs, to Quarry, to Lower Big Springs, back down Seaview, then met with Curran Trail. 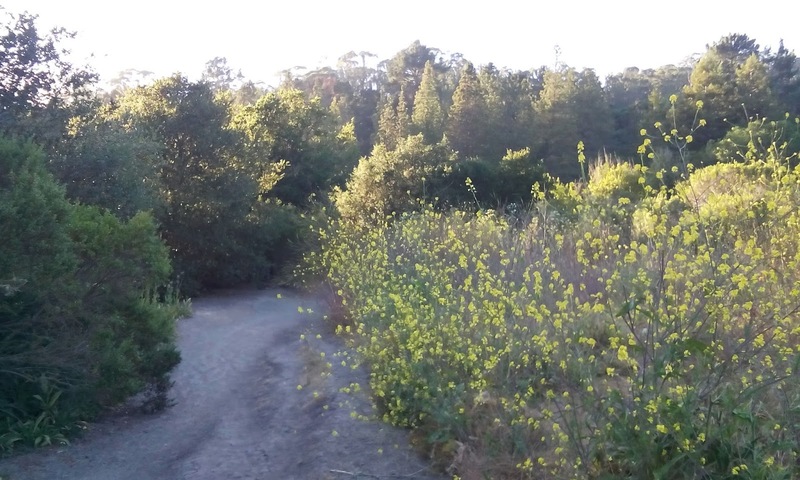 For the last leg of the return trip, I chose Wildcat Gorge Trail, which takes you nearly all the way back to the Visitor Center. 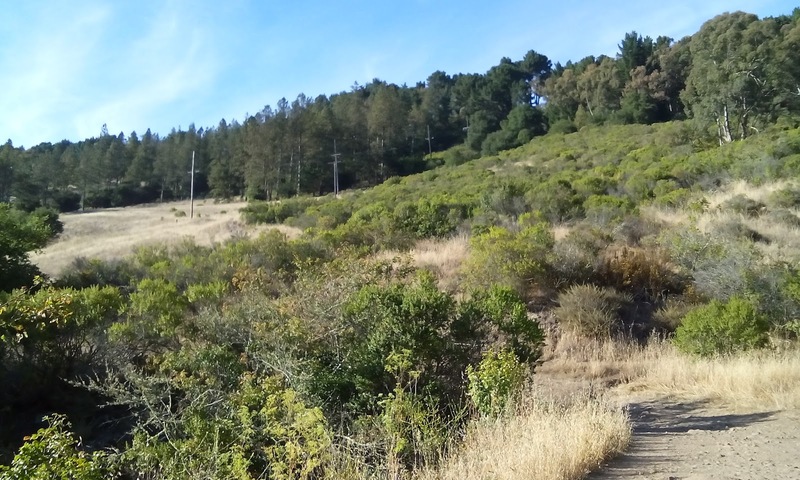 Along the way, I saw quail, lizards, wild turkeys, and oodles of other birds; at one point as I was on a ridge trail, a redtail hawk cruised by about twenty feet in front of me at eye level on its way to hunt the grassy hillside below, so I got a good, long look at her. 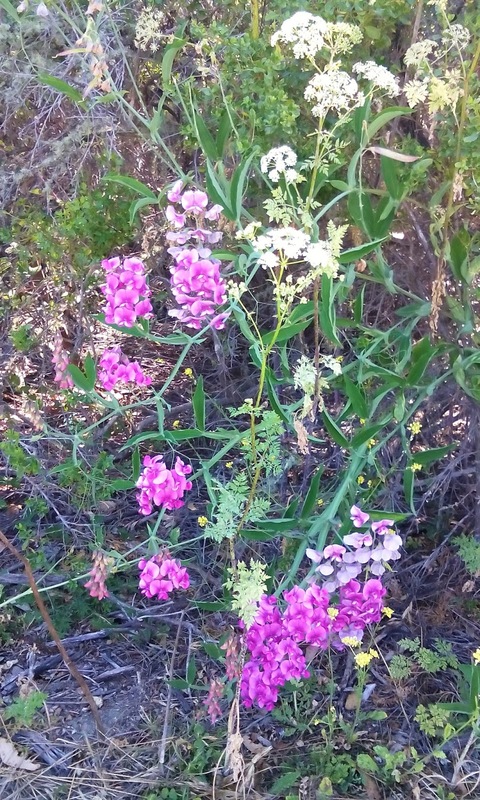 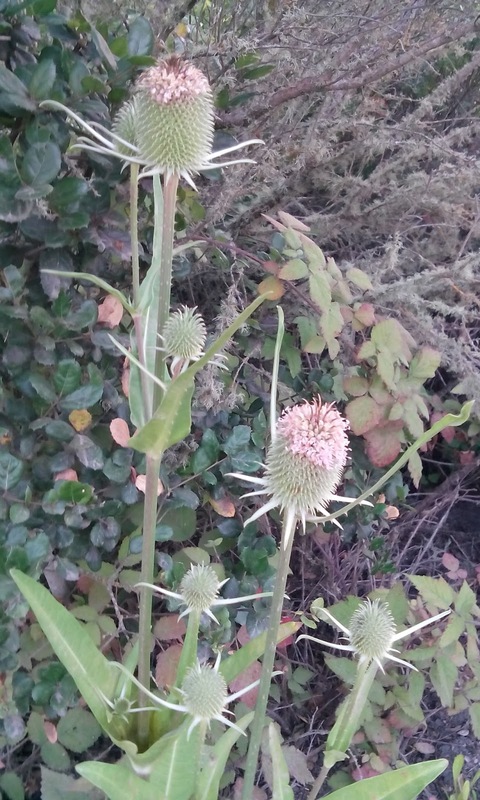 I saw sweet peas, sticky monkey flower, golden poppy, cow parsnip, wild teasel, thistle, and many other wildflowers. 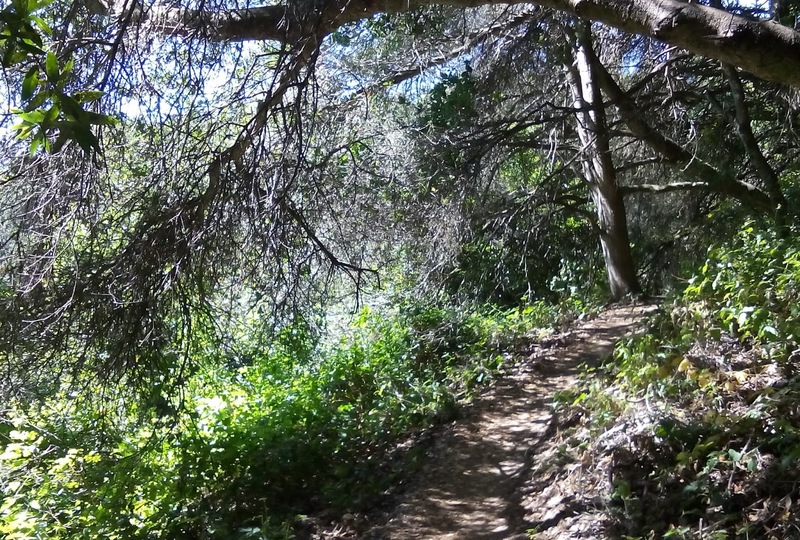 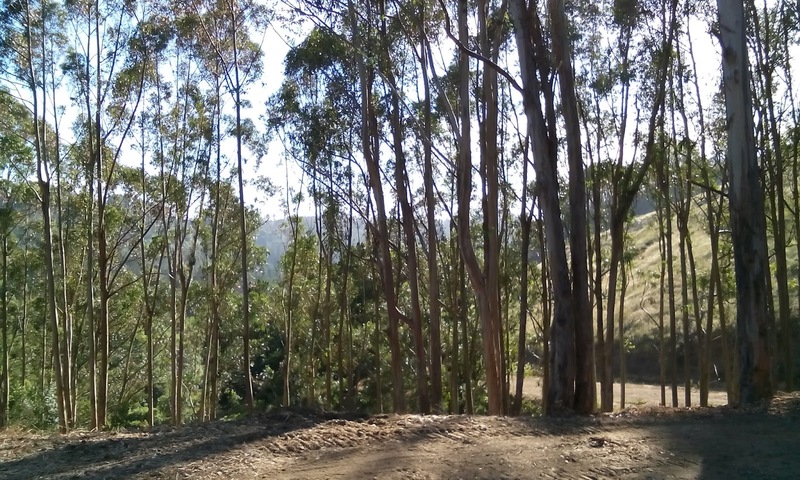 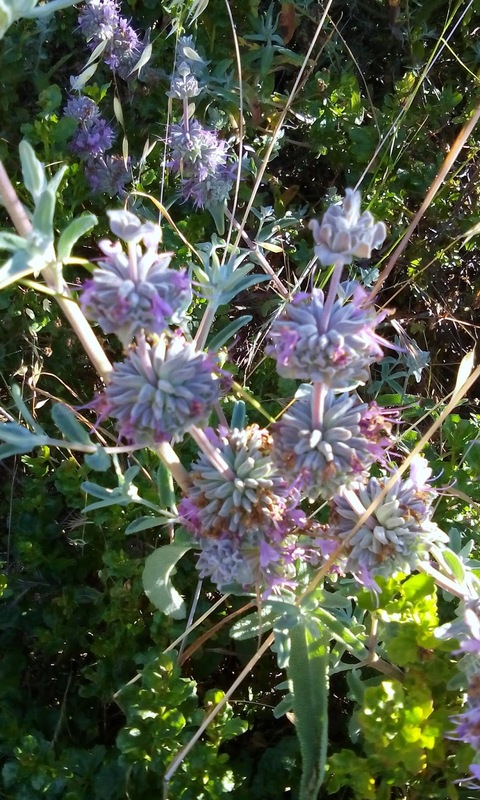 I walked through oen grasslands and hiked among oak, sequoia, bay, pine, eucalyptus, toyon, and other beautiful trees and shrubs. 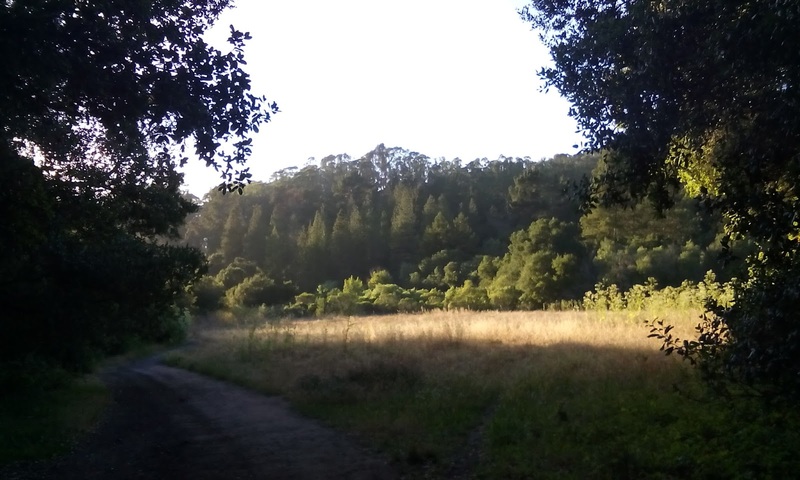 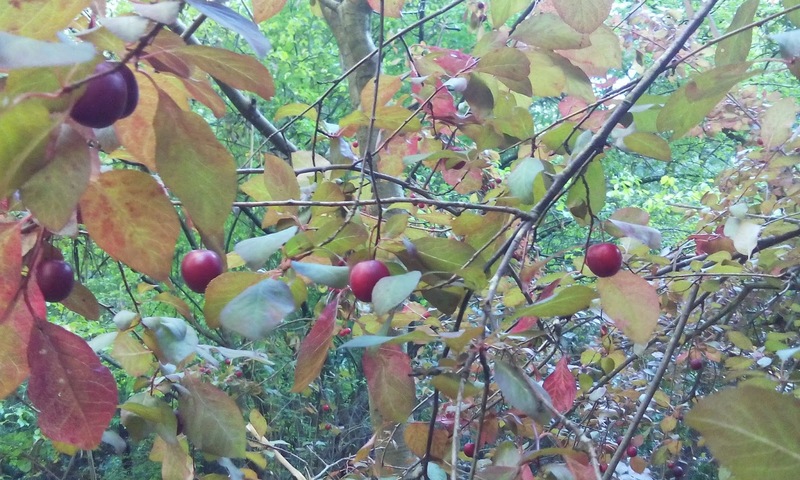 I ate wild blackberries and plums, and would have eaten the less common thimbleberries except the ones I found weren’t ripe yet (I had some the other day in Joaquin Miller, really a treat). 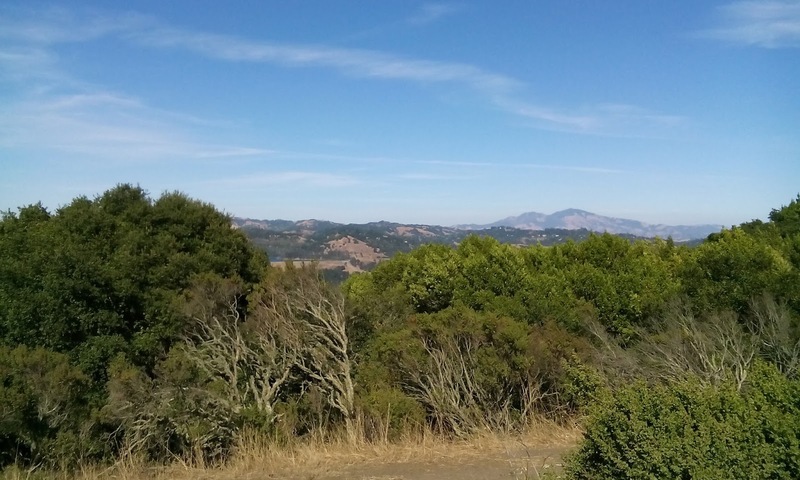 Watch out for poison oak; I used to react to it very badly, but I think I’ve developed a resistance to it: it’s absolutely everywhere, but I don’t break out anymore, just a little itchy blister now and then. 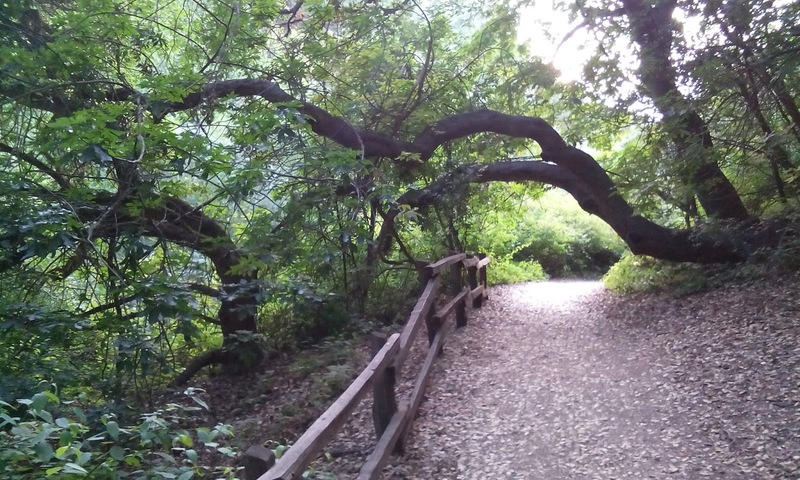 Here’s a little picture book I took on my hike (with my cell phone camera, nothing fancy). 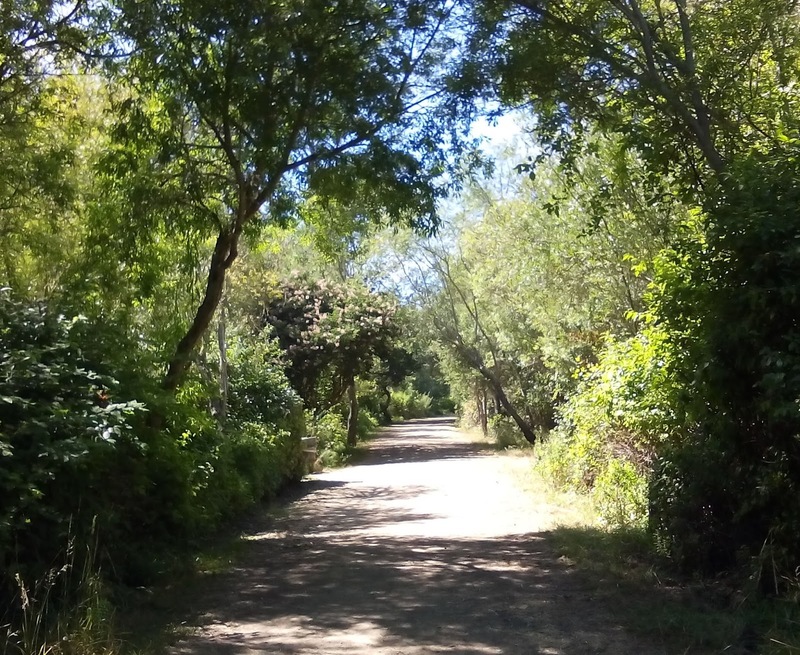 All photos are presented here in the order in which they were taken so you an take a virtual walk with me, though I only captured the smallest fraction of the beauty of this place. 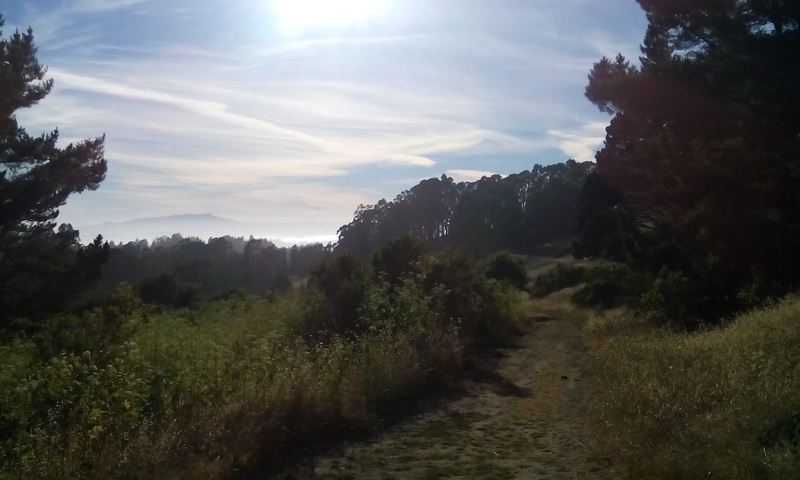 I hope you enjoyed your virtual hike with me!